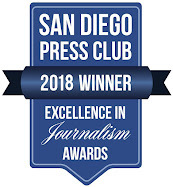 I've been enjoying Isabel Cruz's food for years, whether at Isabel's Cantina in Pacific Beach, Coffee Cup in La Jolla, or Barrio Star in Bankers Hill--back when she still owned it. Now she has a book just published that features the healthy Latin food she grew up with and that her restaurants make. 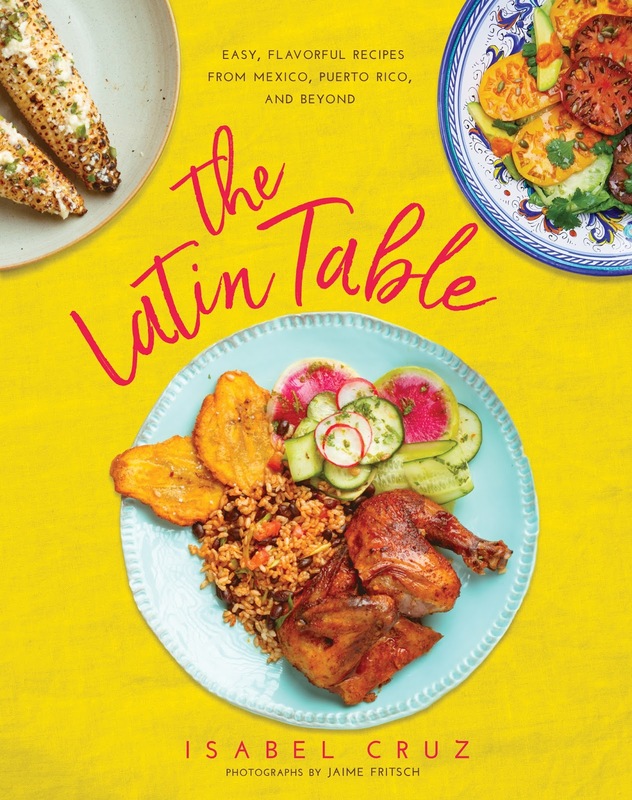 The Latin Table (Skyhorse Publishing, $24.99) fulfills its statement of being filling with easy, flavorful recipes from Mexico, Puerto Rico (where Cruz's family comes from), and beyond. Cruz explained to me that the food in this cookbook--and on the menus of her restaurants--all derive from how she approached the menu of her very first restaurant, The Mission, which she had opened in the early 90s. "I put things on the menu I wanted to eat and would be healthful. But I didn't want to feel I was depriving myself." Cruz grew up eating black beans and rice. Dinner was often black beans and rice with roasted chicken, plantains, and a salad. She built on that for her restaurants. "It was healthy and simplified. To be honest, with little kids at home I didn't want to be stuck at the restaurant training people to make complicated dishes." All this translates into the recipes in The Latin Table. As Cruz has evolved, think Latin fusion, reflecting SoCal health consciousness, a focus on local and seasonal and sustainable ingredients, some Asian influences, and the wide array of flavors that span across diverse Latin cultures. How do all these influences come together once you dig in? Well, I wrote a story on Cruz early this year for the San Diego Union-Tribune's food section that featured ways in which Latin food could be made healthy. She prepared a couple of dishes, Pepita-Crusted Sea Bass with Coconut Chili Oil and Turkey Albondigas. Both dishes proved her point. As Cruz creates her food, you get the Latin experience without feeling like you're depriving yourself, thanks to the complex flavors and textures in each dish. And, happily, you won't get that loggy or gross feeling from having over-indulged. The Latin Table is divided into sections cookbook owners will be familiar with: starters; soup, salads, and sides, mains, sauces and salsas, drinks, desserts, and breakfasts. Cruz begins with a list of Latin kitchen basics--all the things Cruz shared that she had to insist her mom keep in her kitchen. The list includes a variety of salts, best quality extra virgin olive oil along with good quality olive oil for simple frying, a variety of spices, panko bread crumbs, short grain brown rice, black beans, and good-quality shrimp in the freezer--among other things, plus kitchen ware items. 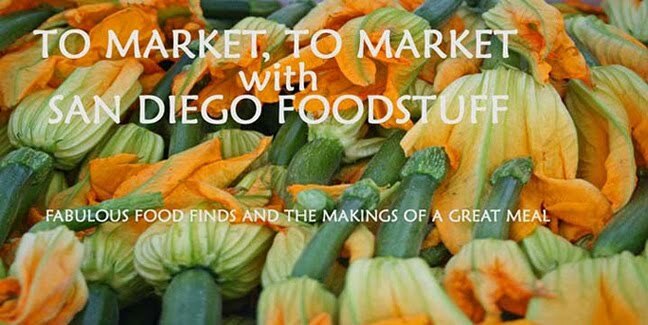 At the end of the book is also a section on sources so you can purchase any special ingredients your local market may not carry. My suggestion? Pay special attention to the sauces and salsas section. When Cruz made her sea bass dish, I fell in love with her Coconut Chili Oil. Her Orange Chili Oil is essential for all sorts of dishes, including the Coconut Chili Oil and Orange Chili Oil Dressing. Make it and keep it around as a go-to for elevating other dishes you make. Then try her salsas. 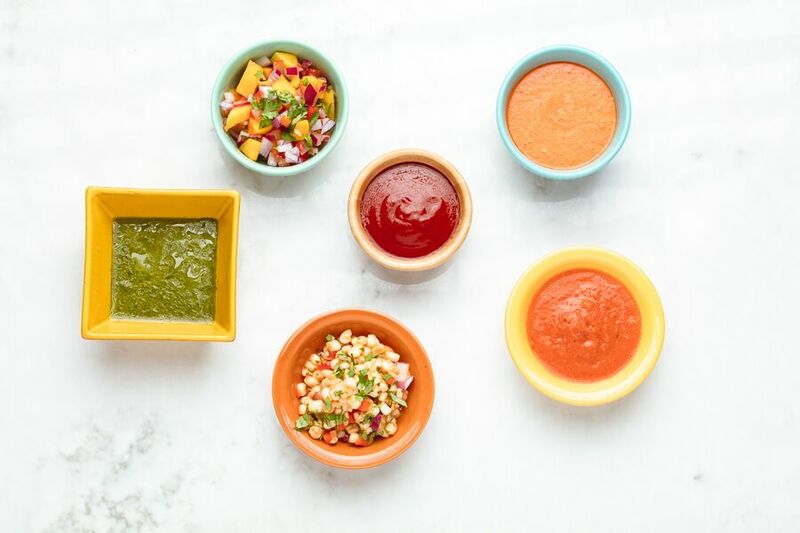 Below are recipes for her bright Mango Mint Salsa and one of Cruz's favorites, her Chipotle Corn Salsa. Combine all of the ingredients in a mixing bowl and toss gently to combine. This salsa keeps refrigerated for up to 2 days. When using fresh summer corn, I just slice it off the cob, no cooking or blanching. If you have good, fresh corn, it will already be sweet and crunchy. If you can’t get your hands on fresh corn, use a good-quality frozen corn (it works much better then canned). If you do use frozen corn, make sure to thaw it first in a separate container by putting the corn in a small strainer over a bowl, for example, to let it thaw. You don’t want the water from the frozen corn to dilute the chipotle/juice mixture that makes this salsa so good. Whisk first three ingredients in a bowl, set aside. Toss remaining ingredients together in another bowl, combine with chipotle/lime/brown sugar mixture. Season with salt to taste. This salsa keeps refrigerated for up to 2 days. Cruz also changes up basic ingredients in novel ways that can break your home cooking boredom. Make sweet potatoes often? Make them for Thanksgiving? If you're yawning at the thought of another everyday roasted sweet potato, be sure to try her Oven-Roasted Sweet Potatoes with Cinnamon and Chili. I made it over the weekend in, as she suggested, one of my cast-iron pans, and loved what a little chili powder and cumin could do to spark a new interest in a go-to evening side dish. It takes little effort and even that little effort is worth it. 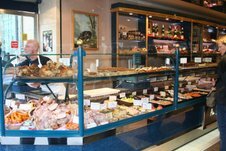 Be sure to give her desserts and breakfasts a try. If you're keen to indulge yourself, make her churros and pair them with her Raspberry Puree. Finish up a light meal with her Mexican Chocolate Tamales or Croissant Bread Pudding with Mexican Chocolate and Almonds. Or lighten it up this summer with Tropical Fruit with Rum Honey Drizzle. If you've ever been to Coffee Cup you know that Cruz is a breakfast maven. So, how about her Breakfast Nachos or Green Chili Eggs and Ham Breakfast Muffins? Want a healthier alternative? There's her Quinoa Breakfast Cereal and her Coconut and Raspberry Chia Breakfast Pudding. The recipes throughout The Latin Table reflect the tropical region and culture where Cruz's family--and culinary--heritage was born. Lots of great produce and seafood. Bold, bright flavors. It's simple food, but joyful. Most important for busy home cooks, they're accessible. As Cruz said, "At the core of what I make is food made from basic, simple ingredients like what a family eats, made from scratch and very healthy." If you'd like to meet Cruz and buy her book, she'll be at Warwick's Bookstore in La Jolla to do a book signing on May 4 at 7:30 p.m. The address is 7812 Girard Ave.